Beanies make great give-aways for the younger set, especially when the weather is cold. Use these high quality fashion items to promote your brand at trade shows, corporate events and school and college sporting days. They offer a classic design that fits tightly onto the head with a one-size-fits-all design. The cap comes in a choice of black, navy and bottle, ideal for winter wear. The beanie is manufactured from an anti-pill polar fleece which is super heat retaining and will never fade. It is easy to keep looking good by washing in warm water or dry cleaning. We adhere to the highest standards of quality control in the manufacture of our beanies. Quality control is maintained at all stages of the production cycle and each item is inspected before leaving the factory. 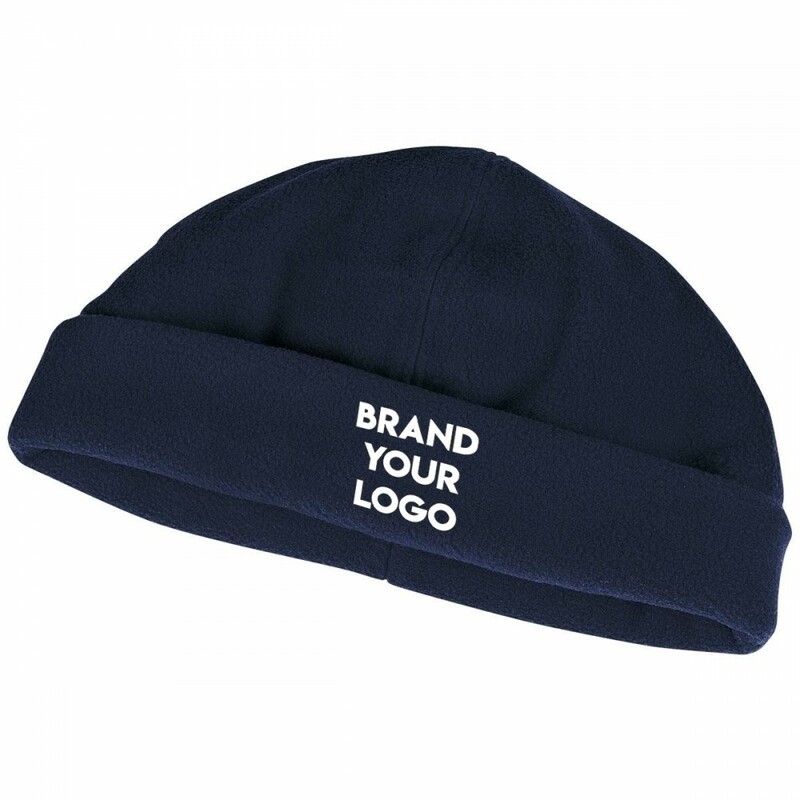 Get your personalised brand noticed when you embroider your unique logo and graphics onto the cap. Our pricing includes 8k embroidery of your graphic. Embroidery can accommodate the multiple colours of your logo and graphics. A set up of $50 applies for orders under 50 units. Please note that pricing excludes GST. Delivery of this product is within Australia only. One size fits most.